In the later twentieth century, poets and critics would add to this assessment of modernism the assertion that modernist form itself constitutes a politics — that the non-narrative, fragmented, disruptive aesthetic of modernism presents a challenge to dominant linguistic and political ideologies. Since the 1970s, Language writing and its descendants have been the most visible contemporary partisans of a politics of poetic form, explicitly linking poetic experimentation with radical politics. One can certainly argue about the validity of such claims, but there can be little doubt that Language writing and its related tendencies proceed from a political intention. Why, then, does Language writing not feature in Keniston and Gray’s account of political poetry? If we take this event as paradigmatic of the desire for an engaged poetry that Keniston and Gray articulate, we can see that it is not exactly a desire for a “political” poetry, broadly understood. Rather, it is a far more specific desire for a poetry that can reach a wide audience, that speaks directly to and about major historical events, that prizes “saying what happened” over formal or aesthetic concerns. In short, the desire for an engaged poetry may be better understood as a desire for a public poetry, one that rejects what Keniston and Gray characterize as modernist “hermeticism” or the overly personal perspective of confessionalism in favor of a broader and more collective idiom that is “responsive to and responsible for the world outside the self.” Little surprise, then, that the prototypes for this mode of public poetry are not primarily Americans, but figures such as Pablo Neruda and Anna Akhmatova, poets who were also activists or dissidents, writing in societies where poetry was far more culturally central than in the US, and whose work reached large audiences. It is this kind of public poetry that Keniston and Gray argue is largely absent from twentieth-century American poetry, and this kind of public poetry that they see as newly emergent in the post-9/11 era. 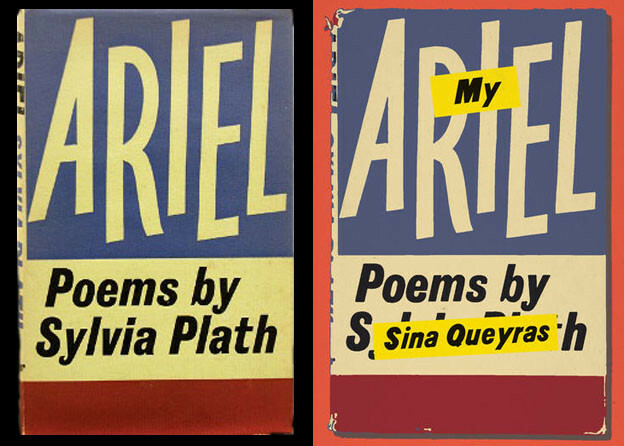 But was such a public poetry in fact absent from twentieth-century US literature? Perhaps, if one focuses solely on a narrow slice of work from certain canonical figures. But how would the role of engagement look different if we broadened our view? What about a poetic landscape that included poems like June Jordan’s “A Song for Soweto”? What of the most controversial 9/11 poem of all, Amiri Baraka’s “Somebody Blew Up America,” with its blistering questions of responsibility and blame for the attacks (and which some have read as anti-Semitic)? What if we included spoken-word performers like Beau Sia or Ishle Yi Park, or poets like Maya Angelou or Richard Blanco, who have read their work at presidential inaugurations? In short, including the work of US poets of color provides a very different image of engaged poetry over the past century, one in which politics and history are often foregrounded and passionately investigated. Such engagement is not a new phenomenon; poets of the Harlem Renaissance, from Claude McKay to Langston Hughes, grappled directly with issues of racism, injustice, and American identity. In the 1960s and 1970s, the Black Arts movement, along with Asian American and Chicana/o literary movements, explicitly linked poetic expression with racial and ethnic identity, presenting poetry as an integral part of a larger political movement. Poets of color write in a context in which the very categories under which they write are politically conditioned; for better or worse, writers of color may find their work read for political claims or sociological insights, whether intended or not. Some poets of color may chafe under such expectations, while others may find their work nourished by such direct political and social connections. The larger point, however, is that it becomes difficult to make the case that twentieth-century American poetry has been disengaged and apolitical if we are attentive to race and to the work of nonwhite writers. That this “other” tradition is not visible in Keniston and Gray’s anthology is not surprising, given that of the fifty poets included in the anthology, forty-five are white. The “problem” of engagement in twentieth-century American poetry starts to look increasingly like a white poets’ problem. Yet poets of color confront their own set of challenges in pursuing a public poetry. Many poets of color, particularly those connected with the activist generation of the 1960s and 1970s and with the more recent spoken-word scene, are comfortable with a broadly public rhetoric that draws on collective experiences and offers explicit political statements. But even such directly political writers cannot always presume to speak to or for a broad national community, as they give voice to marginalized experiences and histories and address audiences that have traditionally been neglected in mainstream poetry. For others, the very act of “speaking to” or “speaking for” is rendered problematic by experiences of colonization, linguistic suppression, and historical erasure; the writer of color may well have a very different relationship to “saying what happened,” and to the authority necessary for such public acts of representation and remembrance, than a white writer does. Public poetry, in short, has been problematized in American poetry not simply because of the aesthetic choices of individual poets, but because of an increasingly complex understanding of “the public” and of poetic audiences. Locating engaged poetry in work that seeks the broadest and most abstract audience may well overlook some of the most vital political work that American poetry is now doing. In the remainder of this essay, I will explore how these problems of engagement, public poetry, and poetic form have unfolded in the work of one particular subset of poets: Asian American writers. The trajectory of Asian American poetry since the 1970s diverges sharply from the narrative Keniston and Gray offer in their account of twentieth-century American poetry. Asian American poets have frequently sought to depict historical traumas and to speak in a broader public idiom. From 1970 to the present, they have engaged politics with many of the same techniques that Keniston and Gray attribute to the new poetry of engagement, from citation of historical documents to experiments with different speaking positions. Yet they have also grappled with the fact that the historical experiences they seek to engage — the colonization of Korea, the internment of Japanese Americans, the often painful history of Asian immigration to the US — are relatively unknown to many American readers. This sharp awareness of the multiplicity of histories that make up the American experience, and the different audiences the Asian American writer (and all writers) must negotiate, provides a complex and nuanced sense of the challenges — and the potential — of American political poetry today. Since my discussion seeks to establish the divergent trajectory of Asian American poetry over the past several decades, I establish a context by examining Asian American poems from the 1970s, 1990s, and 2000s, before turning to an exploration of how a twenty-first-century writer extends this tradition. Although her work is rarely discussed today by mainstream critics, Janice Mirikitani was a hugely influential figure in the Asian American movement of the 1970s. As a student at San Francisco State during the strike of 1969–70, Mirikitani was present at the birth of Asian American studies, and contributed to the emergence of Asian American literature through her editing of the first Asian American literary journal, Aion. She became widely known as an activist writer, particularly through her work with Glide Foundation in San Francisco, and was honored as poet laureate of San Francisco in 2000. Others are constantly trying to study, talk, write about us, resulting in distortions, myths, and lies about Third World people. … Even the well-meaning outside of the Third World cannot express the soul of it because they have not “lived in the house,” and do not speak the depth of the language. At first glance, it would seem that this leads Mirikitani to a poetry that emphasizes content over form; she asserts that poets of color “don’t have the luxury at this time” of focusing on aesthetics, and dismisses poems that are merely “about bees, or birds, or nature.” If the “return” of content and the real is what marks contemporary engaged poetry, we can certainly see it already in Mirikitani’s pronouncement, “I don’t read poetry to escape. I want reality. That’s what poetry should be,” as well as in the work of other political poets of the 1970s. We would expect nearly all American readers to recognize the first two references — the site of the first atomic bombing and the location of the most recent US war. But how many readers will recognize the final reference? For Japanese Americans, of course, the name resonates as the location of one of the camps in which Japanese Americans, regardless of citizenship, were imprisoned during World War II. Today, many Asian Americans of other ethnicities would also recognize the reference; indeed, fundamental to the forging of the pan-ethnic category “Asian American” was the acknowledgement of a shared history that could include, say, both Japanese American internment and Chinese American exclusion. But it is still reasonably likely that most non–Asian American readers would not immediately recognize the reference to Tule Lake, as the details of internment remain absent from most Americans’ historical knowledge. The signifier “Tule Lake,” then, has a rather different function than the references to Baghdad, Fallujah, or Guantanamo scattered through The New American Poetry of Engagement, or the names “Abu Ghraib,” “Darfur,” and “Afghanistan” in Robert Hass’s “Some of David’s Story.” These are distant places known to Americans through the news and experienced not directly, but through the media — as, for instance, Hugh Seidman’s “Thinking of Baghdad” views the Iraqi war: “The warplane graphic rotates slowly on the vengeful news channel.” Few, if any, of these poems claim the perspective of in-person witness, such as that of a US soldier or an Afghan civilian. Indeed, adopting the position of witness is rendered particularly difficult by the fact that most of these locations are sites of violence or injustice perpetrated by the US itself (at least from the political perspective that most of these poets share); the poets’ location is necessarily one of self-critical complicity rather than outraged victimhood. The greatest exception to this, of course, is the 9/11 attacks, an atrocity directed at Americans on US soil. It’s little wonder that Keniston and Gray see 9/11 as the central event of the new engagement, since it is one of the few events of recent years that gives many American poets access to writing a personal poetry of witness. Galway Kinnell’s “When the Towers Fell” begins with a statement of collective witness (“From our high window we saw them”) and moves toward more personal reflection (“At the high window where I’ve often stood / to think”). Yet it is also, perhaps primarily, a reflection on 9/11 as mass event, one experienced both personally and through the media; Kinnell’s final stanza takes the endlessly repeated television loop of the World Trade Center’s collapse and internalizes it: “In our minds the glassy blocks succumb over and over.” Speaking as a “we” — speaking for, or to, a collective — is utterly necessary to grapple with this event, yet also deeply problematic. The poet’s witnessing of these events is always already mediated, and as Keniston and Gray note, Kinnell and other similarly situated poets are as likely to critique and ironize the position of witness as to embrace it. Yet this confidence is, paradoxically, a product of the more delimited scope of the collectivity. Mirikitani’s “we” is pointedly not an abstract, universal “we”; it is not the “we” of Auden’s “We must love one another or die.” It is a “we” defined in opposition to a more powerful “they”: “they commanded we dwell in the desert … they would have us make the garden … they would have us skin their fish.” Indeed, the “we” begins not as a plural but as a singular: “I swore / it would not devour me.” Initially, the “we” seems to speak for Japanese Americans, “commanded” to “dwell in the desert” in internment. But the growing power of the poem lies in the gradual expansion of the “we” to include Asian Americans more broadly, from sexualized stereotypes about Asian women (“And they would have us strange scented women … to loosen their backs massaged in myth”) to the exploitation of Asian labor (“We, who fill the secret bed, / the sweat shops / the laundries”). The culminating triangulation of “Hiroshima / Vietnam / Tule Lake” expands this Asian American voice into a global Asian voice, one that claims solidarity between Asian Americans and Asians in Asia by seeing all three events as examples of US military violence against Asians. Indeed, the archetypal qualities taken on by the “we” — “Dwelling in the ocean. / Akin to the jungle. / Closer to the earth” — while beginning as terms by which the “they” renders the “we” foreign and other, concludes as an assertion of what Mirikitani would likely characterize as a “Third World” voice, one that unites colonized and nonwhite peoples around the world. The power of Mirikitani’s poem, then, is that it does not seem subject to the binds that Keniston and Gray view as characteristic of the new engaged poem. In the latter, the poet must negotiate between the position of individual witness (often not directly available to the author) and of abstract collectivity (which can often be engaged only ironically or self-critically). Mirikitani, in contrast, speaks for a delimited collectivity to which she claims a direct connection (sliding directly from “I” to “we”), one that has clearly been the victim of a specific historical injustice, but whose reach can also be expanded to make much broader political claims. The politics of identification available to Mirikitani and other writers of color would appear to be much more elusive for the white American poets who dominate Keniston and Gray’s anthology. The cost of that identification, of course, is that Mirikitani cannot presume to speak for all Americans — indeed, her gesture of solidarity is primarily with those outside of the boundaries of the nation, rather than within it, and relies upon opposition to a “they” identified with majority US politics and culture. Rather than seeking to address a broad, general audience, Mirikitani’s poem speaks primarily, and unapologetically, to the other members of the “we” of which she counts herself a part. Ansel Adams, “Roy Takeno reading in front of office,” Manzanar Relocation Center (courtesy the Library of Congress). massive, on the massive landscape. of a twisted and remembered fence. The imperative to “regard” is less an expression of witness than a demand for the reader to witness, as the “you” is compelled to look at the “twisted and remembered” history of internment. Inada’s poem grapples openly with the continued neglect of Asian American history in the American consciousness, moving toward a broader engagement with the general American reader, but acknowledging the continuing gaps in historical awareness that separate different audiences. Bringing neglected histories to wider attention may lead poets to include historical documents and testimonies in their work. Keniston and Gray cite the use of “appropriated language” as a distinctive strategy of the new engaged poetry, but we can already see Asian American poets of the 1980s and 1990s using such citations of official language in a charged political context. Inada’s “Instructions to All Persons” provides a particularly striking example. The poem is preceded by a facsimile of the most notorious document of the Japanese American internment: the military evacuation orders posted all along the West Coast in 1942, instructing “all persons of Japanese ancestry” to report to assembly centers for transport to the camps. 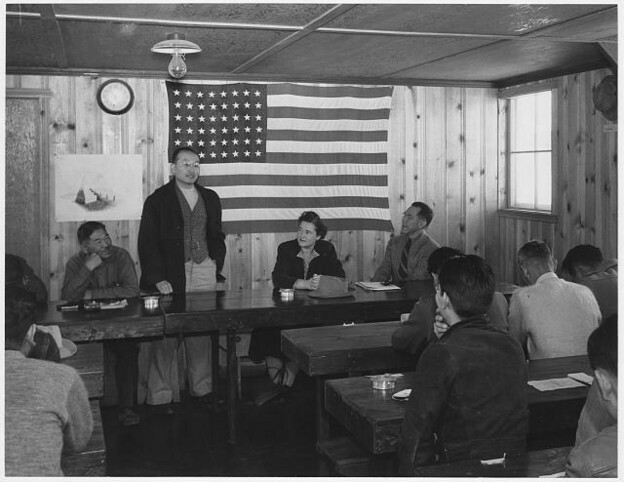 The large-type, boldface word “JAPANESE” dominates the document, emphasizing the racism underlying internment; it is a document that will be immediately familiar to most Japanese Americans, as well as to many Asian Americans. Less certain is whether non-Asian American readers will recognize the document or be familiar with the history it references; for many of these readers, the document may well be something they are seeing for the first time. What Inada does with this familiar, yet unfamiliar, document speaks directly to this possible divide in his audience. Inada titles his own poem “Instructions to All Persons,” pointedly dropping the “of Japanese ancestry” that signals the document’s racist aims. This can be read, at some level, as a universalizing gesture; by directing his poem at “all persons,” Inada rejects the racial limitations of the original document, seeking a broader audience and broader message. But the poem is far from being an attempt to transcend Japanese American experience in favor of a more abstract collective. Inada selects individual words and phrases from the document — “ancestry,” “family,” “responsible,” “civil” — and makes a new arrangement from them, declaring: “Let us take / what we can / for the occasion.” History and aesthetics are linked in this simple phrase: “taking what we can” refers to the technique of appropriation and collage Inada uses in his poem, but it of course also echoes the plight of the internees, who must “take what they can” as they are forced from their homes. For Inada, the evacuation order is not simply official language to be critiqued, nor is it a transparent window into lived reality; instead, it is a linguistic source from which various lessons, values, and poetics can be drawn. The doubling effect of including the original document keeps this linguistic play historically grounded, teaching — or reminding — readers about the racist history from which the poem emerges. Any discussion of recent engaged poetry would be incomplete without a consideration of spoken word, which emerged in the 1980s and 1990s as a new — and newly popular — mode of public poetry. Beginning with the rise of the poetry slam in the 1980s, at sites like the Green Mill in Chicago and New York’s Nuyorican Poets Café, and growing to encompass a wide range of poetic performance, spoken word began to reach national audiences in the 1990s and early 2000s, most notably through the HBO program (and later Broadway show) Def Poetry Jam. Poets of color have played an especially prominent role in spoken word, including Asian American poets such as Beau Sia, Staceyann Chin, Bao Phi, Kelly Zen-Yie Tsai, and Ishle Yi Park; much of their work is explicitly political, engaging issues of racism, sexism, and homophobia, and confronting cultural stereotypes and differences. Direct engagement of current and historical events is a common theme; for instance, Kelly Tsai’s “Black, White, Whatever” addressed the role of Asian Americans in the discourse around race that accompanied Barack Obama’s 2008 presidential campaign. An even more striking example is Ishle Yi Park’s “Sa-I-Gu,” a reflection on the unrest that followed the beating of Rodney King by Los Angeles police officers and the officers’ subsequent acquittal. In the media, these events are most often referred to as the “LA riots” of 1992; others refer to these events as an “uprising.” However, Park’s poem — whose text was first published in 2002, ten years after the unrest — uses the Korean phrase “sa-i-gu,” meaning “4/29,” or the first day of the unrest, following the Korean practice of referring to historical events by their dates. As Park puts it in the first lines of her poem, “koreans mark disaster / with numbers — 4-29 — Sa-I-Gu. / no police. no help.” In the focus on black-white conflict after the Rodney King beating, what was often overlooked was the role of Asian Americans in the violence — particularly Korean Americans, whose businesses bore the brunt of looting in the aftermath of the verdict. Park’s naming of the event as “Sa-I-Gu” is a pointed intervention into the public discourse about the riots, claiming a Korean American perspective on the events that has been relatively absent from the mainstream conversation. why are the cops doing this? wisely, because they are bad. than straw broomstick and hefty bag. Public speech, advocacy, and poetry are, Park suggests, racially conditioned in complex ways — not just in the white majority’s ignorance of Asian American voices, but even in the relative prominence and power of the voices of different nonwhite groups. Park’s provocative comparison leaves open the question of what Asian Americans themselves can or should do in gaining a more prominent public and political role — a challenge to which poetry itself appears as one possible answer. I conclude with a consideration of the distinctively twenty-first-century work of Cathy Park Hong, whose 2007 collection Dance Dance Revolution engages historical traumas through present and even future settings, while playfully and critically exploring the question of a public poetry through its use of invented language. The major historical event evoked in Hong’s book — the 1980 Kwangju uprising against the South Korean government and the subsequent massacre of protesters — is a central event in modern Korean history, and one in which US neocolonialism is deeply implicated. Yet it is also an event of which most non-Korean Americans remain unaware, raising the question of how to engage this topic poetically. This language is the local language of the Desert, a “planned city of renewed wonders” that resembles a science-fictional Las Vegas, featuring “state-of-the-art hotels modeled after the world’s greatest cities.” The fictionalized setting of the Desert allows Hong to bring the history of Kwangju into contact with twenty-first-century America, while still preserving the possibility of parallels to other times and places. The Desert is a landscape marked by recognizably contemporary upheavals: it is heavily populated by migrants, but it has also been built through the displacement of an aboriginal population who sometimes resort to “canny acts of sabotage” in order to undermine the occupation. Yet the reader is forced to access these events, as well as the history of Kwangju, by navigating the Guide’s language, tantalizingly familiar yet at times difficult to decipher. We may ask why Hong asks us to view the events of Korean history through language like this: “I’s born en first day o unrest … / Huzza de students who fightim plisboi patos! / En gangrene smoke, youngins t’rew butane Colas, / chanted por ole cantanka Rhee to step down … he did!” At some level, this is certainly a poetry of witness; yet accessing that witness requires an act of heavy decoding, of navigating a language that is both foreign and not. We may see this is part as Hong’s deeply contemporary acknowledgment that our access to past (or present) traumas is always highly mediated, never transparent. But I would go further and argue that Hong’s engagement with the problem of representing trauma is a highly located, even distinctively Asian American, one. Like Mirikitani, Inada, and Park, Hong acknowledges that she addresses not a general, abstract audience, but one that is divided, at least in part along ethnic lines. Rather than seeking to negotiate or bridge that divide, Hong takes it as central to her project, forcing all readers to confront the “foreignness” of the histories she describes. The reader who is a native speaker of English is led through the migrant’s complex navigation of language, and the reader who may already have knowledge of these events is forced to experience them anew in interpreting the Guide’s words. Hong’s invented language may seem to be the very opposite of a broad, public poetic language, but it may in fact gain its political power from its universalizing of an experience of exile and linguistic alienation, using the creativity of poetic language as a tool for the exploration of history. As this brief survey of Asian American poets suggests, the landscape of contemporary engaged American poetry looks very different if we view it through the work of US poets of color. Instead of a history of apolitical poetry from which poets have recently departed, we see a lengthy history of public, politically engaged poetry that speaks to major public events and bears witness to historical traumas. But the work of poets of color also shows us that the era of an unproblematically public poetry — one in which the poet can simply speak for an abstract or national “we” — is over. Instead, the Asian American poets I have discussed grapple consciously with the different publics their work negotiates — at times speaking to and for specific communities, at other times confronting the exclusion of Asian American stories from a wider American public discourse. In this work, the idea of poetry as public speech is not merely deconstructed or discarded; indeed, the public role of poetry is highly valued. But the public itself has changed, and the work of Asian American poets and other poets of color acknowledges this openly. The question of political poetry is not simply a question of the aesthetics or the political orientation of the individual poet; instead, it is in large part a product of the changing terms of American politics itself, shaped by the same political and cultural contexts — particularly of race, gender, and sexuality — that have redefined American life over the past fifty years. 1. This essay was originally written in response to an invitation from Keniston and Gray to contribute to a collection of essays on engaged poetry that would serve as a followup to the anthology. The editors ultimately declined to include this essay in their collection. 2. Ann Keniston and Jeffrey Gray, introduction to The New American Poetry of Engagement: A Twenty-First-Century Anthology, ed. Keniston and Gray (Jefferson: McFarland, 2012), 6. 7. Ezra Pound, “Hugh Selwyn Mauberley,” in Personae: The Shorter Poems of Ezra Pound, ed. Lea Baechler and A. Walton Litz (New York: New Directions, 1990), 188. 8. H.D., Trilogy (New York: New Directions, 1973), 3. 9. Language writing receives only a brief mention as an example of an “experimental poetics,” one side of an opposition between experimental and confessional verse that has “become uninteresting, if not obsolete, to poets and readers alike.” Keniston and Gray, introduction to Poetry of Engagement, 5. 11. Brendan Bernhard, “Between September 1 and 9/11; W. H. Auden, East Villager,” The Local East Village (September 1, 2011), accessed June 29, 2014. For further discussion of the poem’s post-9/11 impact, see Eric McHenry, “Auden on Bin Laden,” in Slate; Peter Steinfels, “Beliefs; After Sept. 11, a 62-Year-Old Poem by Auden Drew New Attention,” in the New York Times; and Nicholas Jenkins, “‘September 1, 1939’ after September 11, 2001,” W. H. Auden Society Newsletter 22 (2001): 5–8. 12. Keniston and Gray, introduction to Poetry of Engagement, 4–5. 13. The controversy over Baraka’s poem focuses on the poem’s unfounded claim that “4000 Israeli workers at the Twin Towers … [stayed] home” on 9/11, implying that they had advance knowledge of the attacks. The ensuing controversy led to calls for Baraka’s ouster as poet laureate of New Jersey. (For more, see Suzy Hansen, “Amiri Baraka Stands By His Words,” in Salon [October 17, 2002].) Keniston and Gray include a poem by Robert Pinsky that includes a reference to when “the guy read his poem about how the Jews / Were warned to get out of the Twin Towers,” but do not include Baraka’s poem itself (Robert Pinsky, “The Forgetting,” in Poetry of Engagement, 157). 14. It’s worth noting that the central events highlighted in The New American Poetry of Engagement — 9/11, the Iraq war, the policies of the Bush administration — are not events of which the poets can claim direct personal experience, but rather highly mediated, often distant, mass events to which the poet can have only an ambivalently impersonal relationship. While we should avoid the romanticized idea that writers of color have “authentic” access to experiences of historical trauma — an idea that many writers of color themselves critique in their work — it does seem to be the case that a central problematic of the mode of engaged poetry Keniston and Gray describe is the “domestic ‘I’” who confronts a “distant, calamitous place that the speaker learns of through the news” — a sharp contrast to the strategies of identification (however problematic) pursued by many poets of color (Keniston and Gray, introduction to Poetry of Engagement, 8). 15. Janice Mirikitani, “Looking for America,” We, the Dangerous (Berkeley: Celestial Arts, 1995), 4. 17. Janice Mirikitani, interview by Teri Lee, Asian American Review (1976): 37. 20. Mirikitani, We, the Dangerous, 27. 21. Hugh Seidman, “Thinking of Baghdad,” in Poetry of Engagement, 181. 22. Galway Kinnell, “When the Towers Fell,” in Poetry of Engagement, 107–112. 23. Mirikitani, We, the Dangerous, 27. 26. Lawson Fusao Inada, “Concentration Constellation,” Legends from Camp (Minneapolis: Coffee House, 1992), 27. 29. While Keniston and Gray acknowledge that the use of appropriated language is also seen in modernist and postmodernist collage, they assert that the new engaged poetry differs in presenting such materials “without intervention or comment … sometimes to mount a critique of them but just as often to achieve a sense of lived reality through them” (Keniston and Gray, introduction to Poetry of Engagement, 11–12). 30. Theresa Hak Kyung Cha’s Dictee,published in 1982, offers an influential example, drawing on documents from the colonial history of Korea as well as on the journals of Cha’s own mother. 31. Inada, “Instructions to All Persons,” Legends from Camp, 5. 32. Cathy Park Hong, Dance Dance Revolution (New York: Norton, 2007), 25.